Looking for your next cycling adventure? Join Phil Anderson (no introduction needed! ), Rudy Rogiers (Paris Roubaix runner up), Grace Brown (2018 AGF Scholarship Holder and 2018 World Championship Team Member) and Rachel Neylan (World Championship Silver Medallist) on a unique, fully supported ride from Wodonga to Melbourne via the high country and raise funds for the Amy Gillett Foundation. Breaking News: Fundraising just got a whole lot easier with employer dollar-matching. 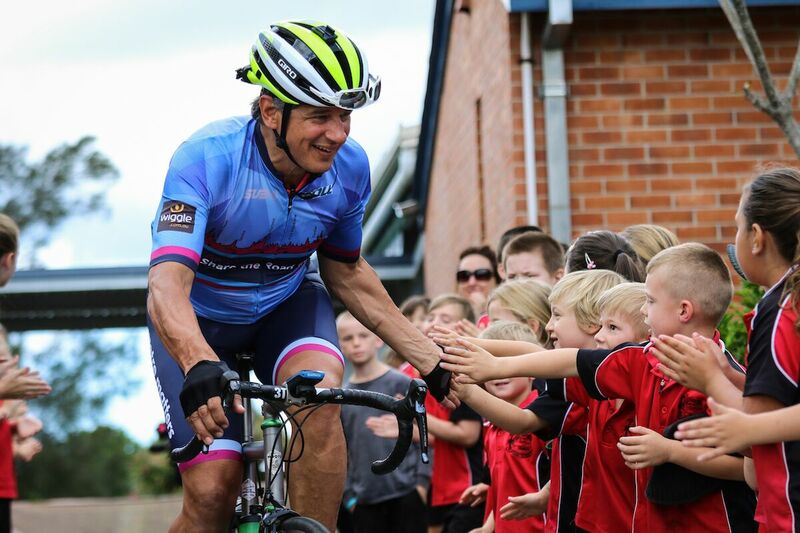 This is a Tour with a purpose – helping to make a difference for cycling safety. Our en-route school visits program promotes our important cycling and road safety messages along the way. Catering to cyclists of all abilities, our tour includes all meals, accommodation, mechanics, support cars and masseurs and you can choose your daily distance depending on how your legs are feeling. YOUR TOUR OPTIONS – 6 OR 3 DAYS? Per rider costs include: $1,500 registration deposit (non-tax deductible) plus a $6,000 fundraising commitment. Team up with a friend and complete three days each or just ride the first or last three days. Changeover is in Mansfield on Tuesday evening. If riding the first three days, you are welcome to stay Tuesday evening in Mansfield at your expense. All transfers are rider’s responsibility. Per rider costs include: $1,000 registration deposit (non-tax deductible) with a $3,000 fundraising commitment.